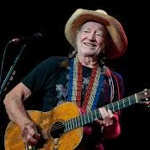 Learn how to play Willie Nelson – On The Road Again note-for-note on guitar. The lesson covers Willie’s rhythm guitar part. It doesn’t cover the lead part. The preview video contains the introduction taken from the complete lesson for the song On The Road Again. The complete song lesson contains a lesson video, performance play thru video, full tabs and chords and lyrics sheet. You’ll receive a link to download the lesson which will download as a zip file of 99 Mb containing all the lesson content.